This is the second half of a French two-part film that details the life of French gangster, Jaques Mesrine. The first part is entitled "Mesrine: Killer Instinct." It was based on his autobiography. 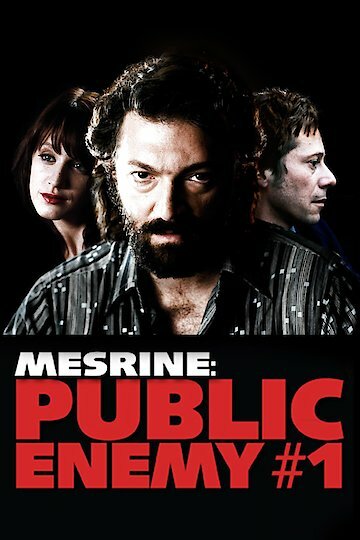 The second part is entitled "Mesrine: Public Enemy Number One." It covers 20 years of Mesrine's life after he escaped from prison. The moniker was given to him by French and Canadian police. The second installment is long and violent. In this period, Mesrine promoted his own image. He taunted police and secretly met with media. He became a celebrity bank robber and kidnapper. He created an image as a well-known anti-hero through all of France. Mesrine is violently portrayed on the screen by Vincent Cassell. He doesn't care if he's taken into custody because he's confident he will escape from any prison. Mesrine even takes pleasure in the publicity he receives from the press when he is in court. In one scene that's factually accurate, he even grabs a judge at gunpoint to escape a courtroom. Mesrine: Public Enemy #1 is currently available to watch and stream, download, buy on demand at Amazon Prime, Amazon, Google Play, YouTube VOD online.